Asra Aromas is a leading supplier of incense, oil burners and accessories. This year the company is exhibiting with an outstanding range of new products. Along with the bestselling Magic Scents incense you will see the addition of 15 delicious new fragrances your customers will love. Incense cones and garden sticks are available in the Magic Scents label. Asra Aromas also has its Magic Scents fragrant oils in two beautiful stands to suit your store. The oils come in 45 heavenly fragrances and to be able to burn those oils you’ll need a selection of new calming blue oil burners that have been added to the lovely range. 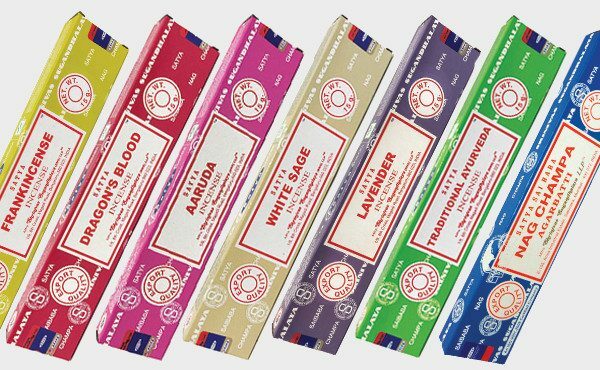 Asra Aromas' selection of Satya incense is rapidly expanding. Along with Nag Champa there are 26 new individual fragrances to dazzle your customers. Visit Asra Aromas' Stand 4B4 to sample its best-selling incense and oils at AGHA Sydney Gift Fair, 23-26 February 2019.